Don’t you think that people these days are professionally qualified but financially illiterate? It is very important to invest in ‘Financial Securities’ since this is one of the best investment opportunities available in India considering the high percentage returns from such investments. Especially at this juncture in time, where the Indian Economy is developing at an incredibly fast pace, everyone should be a part of the whole process and reap the fruits of the development. A lot of the people today understand the importance of such investment and since they have the resources (like money, time etc), they tend to participate in paper investments (shares, bonds and the like). Be it college graduates, professionals or any other person from any other arena, they might have become financially sound but however, they still lack some amount of financial literacy. Because of a lack of knowledge, they end up losing a chunk of their capital in the volatilities of the stock markets. This is mainly caused by committing some very common but crucial mistakes. The topic of the article might sound a little harsh in the beginning, but there are some common mistakes committed by most of the investors in their initial years of investing. The small investors (often with less and limited capital), more often than not begin with investing in well-thought-of goodwill backed blue-chip companies (let’s say, Infosys or TCS or Reliance etc.) which have given good profits consistently. These companies, more often than not, do not disappoint the investors and consistently produce good returns on investment (‘ROI’). Now, these investors are carrying heaps of confidence along with a good rate of return on their investments in the blue-chips. The next step they take, in these series of events, is to try and understand the market (covering more stocks, information-based trading etc. ), its movement and the respective stocks better by reading about the same on online self-help articles. However, what people don’t understand is that a ‘risk-adjusted average return’ earned from their investments in any blue-chip company is not because of their expertise in the equity markets. Any person with moderate knowledge about the current economic environment would have most likely invested in one of the blue-chip company to safeguard their initial capital and earn a normal rate of return. With this superficial confidence booster, a common mistake that comes up next is the “change in the investor’s mindset for earning more, all at once”. Investors start thinking from a trader mindset rather than an investor’s perspective. The aim of this write up is to identify and put forward the common mistakes done by any rational investor in their investing career and to have an opportunity to avoid them and create wealth. Investors need to understand that the entire journey of investing is a long and continuous process. Along with money, time is an important resource that is required to be invested in the stock market. The longer you are invested, the better are the returns (provided you are sailing in the right ship). Illustration: Let us assume that average returns from equity markets range from 20 percent to 30 percent per annum. A small investment of INR 2 lakhs today can earn you more than INR 16 crores for a period of 30 years as against a return of INR 6 lakhs in 5 years timeframe (considering an average rate of return of 25 percent). Once a good company is selected, the company will help your money grow. You just have to ‘Buy Right and Sit Tight’. The prime goal to invest in equity markets should be to satisfy the long-term objectives. For example, one should utilize the money earned from the equity markets to accomplish long-term goals like buying a house, children’s education, marriage, world tour or any other specific capital outflow. The greed to earn quickly is the biggest problem of all investors who have not prospered in the Indian Stock Market. One of the most consistent mistakes that a majority of inexperienced investors tend to make is being drawn to a type of common stock known as penny stocks / small caps. The reason for this (ultimately dangerous) attraction always comes down to the fact that penny stocks appear to fluctuate tremendously in price, which, they convince themselves, should lead to an opportunity to generate a very high return and that too, very quickly. The reason most people seem to be drawn to investing in penny stocks is that these companies fluctuate wildly in very short periods of time. 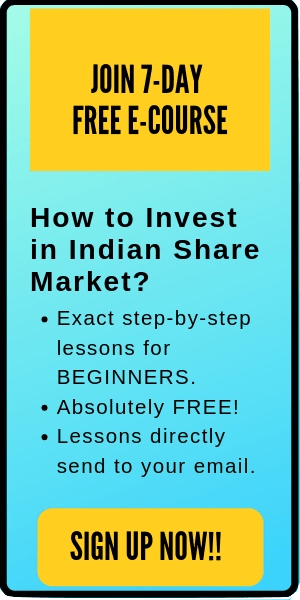 In a single week, shares might go from INR 5 to INR 30. The naive investor thinks, “Wow! If I had put INR 10,000 in that, I would have been able to turn it into INR 60,000 almost instantly!” Well, here goes to bursting their little bubble. It’s an illusion, make no mistake about it. Not all small-cap stocks give such returns. It often turns out to be precisely the opposite as penny stocks can wipe out your savings in the blink of an eye. However, there are some penny stocks which have turned into multi-baggers, giving a return of up to 43,000% in a span of approximately 10 years, you just need to know how to pick them. If you pick the right stock, the returns can be exceedingly huge. As against this, pick the wrong stock, and your entire capital can get eroded. Also read: What are Penny stocks? And should you buy it? Another important factor is the timing of investment i.e. entry and exit in the stock market. Wrong timing is one of the most common mistakes that the retail investors tend to make. The decision to buy and sell stocks should not be dependent on acquaintances. Do not invest in stocks because people around are also investing in it. Avoid such practices as they do not yield well in long-term and often end up incurring heavy losses. Retail investors tend to enter into the stock based on some news (often called as ‘tip’) or they tend to follow an ace investor. However, one important thing that they don’t often understand is that stock market prices discount the forthcoming news/events/results well in advance. Therefore, never follow any investment event which is already public. It all originates with investing in any stock at a wrong time with the intention to hold it for the long term. However, if the wrong timing of entry leads to unfavorable returns in the near term then the stock price declines, along with the investor’s confidence in the stock. However, they tend to hold it just because they cannot afford to lose money i.e. book the loss. They hold it for a medium-term (forgetting all about their long-term targets) and wait for the stock to breach their break-even buy price. After months of holding the stock, they sell the stock at break-even. What return did these investors get from holding the stock? NEGLIGIBLE. People tend to hold the stock at the time of downside and exit on their up-move at their break-even. Another beginner’s mistake is the utter lack of discipline in the stock market. The prices of all the shares in the market move several times, to a large extent, because of multiple investors booking their individual profits/losses. The price fluctuations are only an outcome of two emotions – “greed and fear”. The greed to earn more and the fear to lose money. One should follow strict disciplined risk-reward ratio based on the idea at the time of buying the stock i.e. intraday or positional or delivery-based trading. For example, before even the purchasing the stock, the investor has to decide the expected return and the maximum capacity to bear the loss. The risk-reward ratio may differ based on the stock selection, investor’s mindset and price volatility of the stock. Ideally and preferably, trading ideas should have a strict ratio of 1:2 i.e. against an expected 10 percent return, there should be a strict 5 percent stop loss below the purchase price. The volatility in the market has often led to losses even in a bullish trend. Therefore, it is always advised to invest systematically, in the right shares with patience for good returns. Being patient and having a disciplined approach always helps in picking the right stocks for accomplishing long-term goals. This is the last and most important mistake to be avoided, but however, done by most of the investors in the beginning of their careers. First, let us understand the meaning of Margin money. The margin is a loan extended by the broker that allows you to leverage the funds and securities in your account to enter larger trades. The loan is collateralized by the securities and cash in your margin account. The borrowed money doesn’t come free; however, it has to be paid back with interest. Leverage in any business (also, stock market) means the use of debt to finance the assets. Short term traders use Margin from their brokers to create leverage. Essentially, leverage allows you to pay less than the full price for a trade, giving you the ability to enter larger positions even with a small amount of capital. How can use of leverage be unfavorable to the trader? Let’s say, you get a margin of 5 times of the portfolio value from your trader i.e. 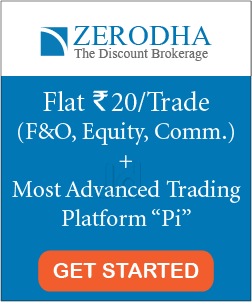 the trader can purchase stocks of INR 500 against a portfolio value of INR 100. Suppose, you used the entire margin to purchase 5 shares of security A at a price of INR 100 per share (as against purchasing one share without margin funding). If the price of security A falls to INR 95 on the next trading day, then the trader suffers a loss of INR 5 per share. Since the margin is available to the trader for a pre-decided number of days, let’s say for 5 trading days in our example, the trader holds this position in anticipation of a price hike (an illustration of lack of discipline too). 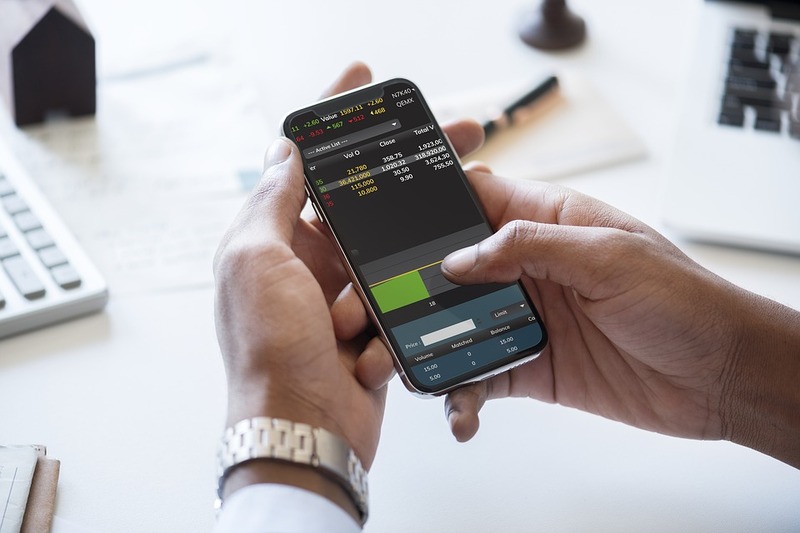 At the end of the 5th trading day, the trader has to either deposit the funds or sell the shares in order to clear the debit balance in the margin account. Most likely, the broker will sell the shares because the trader is in the shortage of funds (the primary reason to use margin). Suppose, the share price on the 5th trading day is INR 90 per share. Here, the trader has incurred a loss of INR 10 per share i.e. total loss of INR 50 (INR 10 multiplied by 5 shares). A 10 percent (INR 100 to INR 90) decline in the security has resulted in a loss of 50 percent in the portfolio value (INR 100 to INR 50 i.e. total loss of INR 50). Here, let us understand the math behind this calculation. The percentage return of the portfolio is directly proportional to the margin funding ratio. Since the broker provided a 5 times margin on the portfolio, a normal 10 percent resulted in a total loss of 50 percent in value. Leverage can give the same multiplying effect to the profits as well, in fact, that is the motive of most of the traders – to earn quick money using leverage/margin funding. It turns out that no one has ever earned consistently in this fashion. To summarize, it is important to understand that to become a successful stock investor, you must invest your own serious money based on your capacity. Sometimes, it is better to sit on cash rather invest and lose money. “Do not invest just for the sake of investing” – Warren Buffet in his recent annual letter to the shareholders of his company. Form a methodology of stock picking, believe in your ideas of investing and back them by having a longer-term mind frame. The beauty of investing is that there would be a million investors sailing the same boat but still, their earnings from the stock can be materially different. Finding a great company is not even half the battle. Price matters. Time frame matters. Temperament matters. Have a good day. #HappyInvesting. This article is written by guest-author ‘Pranav Thakkar’ and was also posted here. I am a pursuing Chartered Accountancy and currently working in a Mumbai based firm – KNAV & Co Chartered Accountants. I have been deeply fascinated and inspired by the Indian equities and Indian economy. I am a constant learner of the stock market. In my free time, I read books and play cricket.